Pandora has largely been overshadowed by Spotify in the world of music streaming, but it's still alive and kicking. Back in August, Pandora Premium support was finally added to Google Assistant, and T-Mobile began giving customers a year of Pandora Plus. Now the company has been acquired in an all-stock transaction by SiriusXM, valued at approximately $3.5 billion. If you're not familiar with SiriusXM, it's a broadcasting company primarily known for its satellite radio stations. Sirius also offers a subscription for listening to stations online, so it makes sense that the company would want to purchase Pandora. Sirius hopes that the deal will, "[leverage] SiriusXM's exclusive content and programming with Pandora's ad-supported and subscription tiers to create unique audio packages, while also utilizing SiriusXM's extensive automotive relationships to drive Pandora's in-car distribution." The purchase is still waiting on approval by the U.S. FTC and by Pandora's stockholders. Assuming everything goes according to plan, the acquisition should be finalized in the first quarter of 2019. NEW YORK and OAKLAND, Calif., Sept. 24, 2018 /PRNewswire/ -- Sirius XM Holdings Inc. (NASDAQ: SIRI) and Pandora Media, Inc. (NYSE: P) today announced a definitive agreement under which SiriusXM will acquire Pandora in an all-stock transaction valued at approximately $3.5 billion. The combination creates the world's largest audio entertainment company, with more than $7 billion in expected pro-forma revenue in 2018 and strong, long-term growth opportunities. Pursuant to the agreement, the owners of the outstanding shares in Pandora that SiriusXM does not currently own will receive a fixed exchange ratio of 1.44 newly issued SiriusXM shares for each share of Pandora they hold. Based on the 30-day volume-weighted average price of $7.04 per share of SiriusXM common stock, the implied price of Pandora common stock is $10.14 per share, representing a premium of 13.8% over a 30-day volume-weighted average price. The transaction is expected to be tax-free to Pandora stockholders. SiriusXM currently owns convertible preferred stock in Pandora that represents a stake of approximately 15% on an as-converted basis. The merger agreement provides for a "go-shop" provision under which Pandora and its Board of Directors may actively solicit, receive, evaluate and potentially enter negotiations with parties that offer alternative proposals following the execution date of the definitive agreement. There can be no assurance this process will result in a superior proposal. Pandora does not intend to disclose developments about this process unless and until its Board of Directors has made a decision with respect to any potential superior proposal. SiriusXM reiterated its full-year 2018 guidance provided on July 25, 2018, with self-pay net subscriber additions of approximately 1.15 million; revenue over $5.7 billion; adjusted EBITDA of approximately $2.175 billion, and free cash flow of approximately $1.5 billion. Pandora reiterated its third quarter 2018 guidance provided on July 31, 2018, with revenue of $390 million to $405 million and Adjusted EBITDA of ($25) million to ($10) million. SiriusXM will hold a conference call to discuss this transaction today, September 24, 2018 at 8:30 AM ET. The dial-in information for participants is (866) 610-1072 (Domestic) and +1 (973) 935-2840 (International). The passcode for both numbers is 7138655. Investors will have the opportunity to listen to the conference call live and access the accompanying presentation slides on each company's investor relations tabs on each company's website, http://investor.siriusxm.com or http://investor.pandora.com. Participants are encouraged to register at least 15 minutes early to download and install any necessary software. For those who cannot listen to the live broadcast, a telephonic replay will be available through October 8, 2018 by dialing (800) 585-8367 (Domestic) and +1 (404) 537-3406 (International), passcode 7138655. An archived version of the replay will also be available at http://investor.siriusxm.com or http://investor.pandora.com. Allen & Company LLC and BofA Merrill Lynch are serving as financial advisors to SiriusXM and Baker Botts LLP and Simpson Thacher & Bartlett LLP are serving as its legal counsel. Centerview Partners LLC, LionTree Advisors LLC and Morgan Stanley & Co. LLC are serving as financial advisors to Pandora and Sidley Austin LLP is acting as legal counsel. Pandora is the world's most powerful music discovery platform—a place where artists find their fans and listeners find music they love. We are driven by a single purpose: unleashing the infinite power of music by connecting artists and fans, whether through earbuds, car speakers, or anywhere fans want to experience it. Pandora's team of highly trained musicologists analyze hundreds of attributes for each recording which powers our proprietary Music Genome Project®, delivering billions of hours of personalized music tailored to the tastes of each music listener, full of discovery, making artist/fan connections at unprecedented scale. 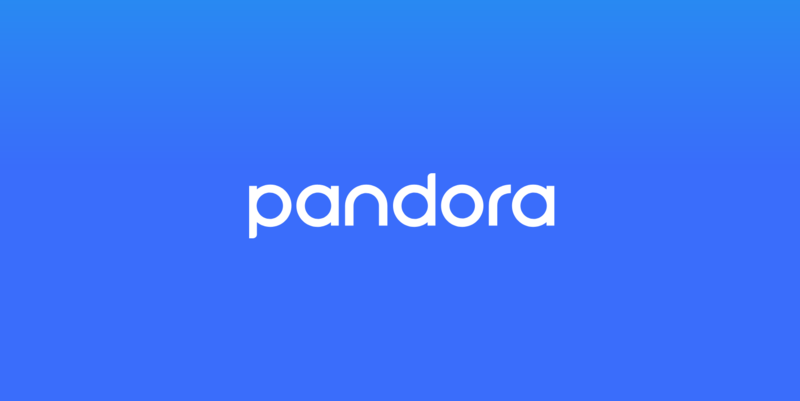 Founded by musicians, Pandora empowers artists with valuable data and tools to help grow their careers and connect with their fans.